KUCHING: Speculators are said to be behind the high demand for residential properties, which have driven up prices significantly, in the Sarawak state capital. According to leading property consultant CH Williams Talhar Wong & Yeo Sdn Bhd, there were fears the property market was highly speculative. Chew says new houses fetched higher prices in areas like Tabuan Jaya because of high demand as land had become scarce. It said that although the response to property launches had been encouraging, buyers and investors had grown more cautious due to the uncertainty in the global economy. But the Sarawak Housing and Real Estate Developers' Association (Sheda) and top property developer Ibraco Bhd are of the opposite view, saying there was little element of specualation in the city's property market. The consultancy said residential property prices had increased 10% to 20% across the board last year. It said homes in the city's prime locations such as Tabuan, BDC, 3rd Mile and Jalan Song were consistently sought-after and that the high demand had kept prices on the uptrend. “Standard double-storey intermediate terraced houses now easily command prices between RM350,000 and RM400,000,” the consultancy said in its newly released Sarawak Property Market Review 2011 and Outlook 2012. It said even new residential projects on the outshirts of Kuching like along Kuching-Serian Road, Batu Kawa and Matang had received encouraging response, with properties being snapped up within several months of their launch. It said more residential properties were launched in the second half of last year and housing schemes in the city area offered mostly double-storey terraced houses and double-storey semi-detached houses, while projects in secondary locations comprised mostly single-storey houses. The consultancy said there was a tendency for developers to build to take advantage of the current high residential prices, while buyers were rushing to buy for fear of missing out. Sheda secretary-general Sim Kiang Chiok said there were few speculators in the landed residential sector as the houses were for buyers' own occupation. He said the 2% population growth in Kuching last year over 2010 meant the state capital required some 4,000 new houses a year to meet the demand. “There is no overbuilt of houses. There is no mismatch of supply and demand,” he told StarBizWeek yesterday. Sim said more people could afford to buy houses due to low bank interest rates and longer loan repayment period as the financial system was flush with liquidity. He said the low saving rates had encouraged people to invest in properties instead of keeping their money in banks. The buoyant prices of commodities like oil palm, pepper and rubber are another contributor to the vibrant property market, according to Sim. Noting the drastic increase in house prices in the city's prime locations in the past few years, Sim expects the price uptrend to continue. “We expect prices will still increase slightly, in single digit, this year,” he said. Sim considers the current residential property prices in secondary locations in Samarahan Division (its population grew about 6% last year) as “quite reasonable”. Buyers could still get a single-storey terraced house, for example along Kuching-Serian Road, for RM200,000, he said. 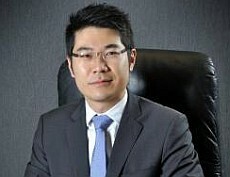 Ibraco managing director Chew Chiaw Han dismissed market speculation for the significant increase in residential properties in the city's strategic locations. He said buyers of Ibraco houses were individuals comprising young professionals who were first-time buyers. There were also parents who bought houses for their children. Chew said new houses fetched higher prices in areas like Tabuan Jaya because of high demand as land had become scarce. He said development costs for houses had gone up because of increasing costs of building materials and labour. Ibraco, which has built more than 10,000 residential units in the prime Tabuan Jaya area, is in the second year of implementing its flagship mixed development project, Tabuan Tranquility. The project has a gross development value of RM517mil. Chew said Tabuan Tranquility had registered high take-up rates for both commercial and residential properties.